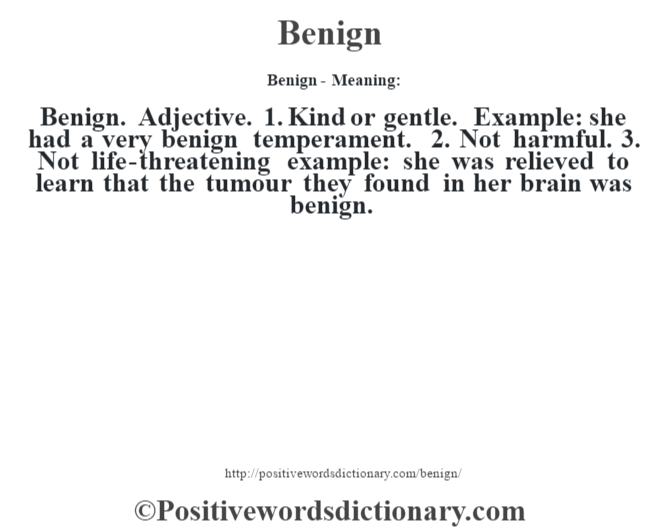 Benign. Adjective. 1. Kind or gentle. Example: she had a very benign temperament. 2. Not harmful. 3. Not life-threatening example: she was relieved to learn that the tumour they found in her brain was benign.